The National Center for Atmospheric Research’s leading climatologist Kevin Trenberth said this week that he believes “a jump [in global temperatures] is imminent”, according to article posted April 2 on Climate Progress. New research from a major national lab projects that the rate of climate change, which has risen sharply in recent decades, will soar by the 2020s, with the Arctic warming by 1 degree Fahrenheit per decade. 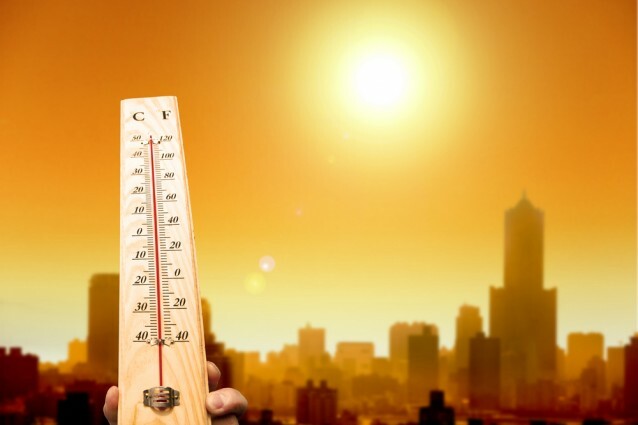 The speed with which temperatures change will continue to increase over the next several decades, intensifying the impacts of climate change, according to the U.S. Department of Energy. New research documents evidence that global warming causes more global warming and that, as Earth warms, the warmer temperatures correspond with an increase in greenhouse gases, which means the earth warms the earth even more. “We discovered that not only does thickening the blanket of heat-trapping gases around our planet cause it to get warmer, but also, crucially, when it gets warmer this increases thickens the blanket of heat-trapping gases,” scientist Tim Lenton said. While previous studies have suggested a correlation between warming temperatures and an increase in greenhouse gas, Lenton’s team is the first to prove the relationship using direct evidence, taken from ice cores nearly one million years old. The team — comprised of scientists from the University of Exeter, the Scripps Institution of Oceanography, and Wageningen University in the Netherlands — analyzed Antarctic ice core data from the end of ice age cycles 400,000 and 800,000 years ago. That ancient ice is important, because it offers an extremely large amount of historical global temperature and greenhouse gas concentration data, which the scientists were able to analyze to figure out how the two interact.